Selesia Marie Case, age 50 of White House, passed away on April 6, 2019. She was preceded in death by her father, Richard Hayes, mother-in-law, Jane Marie Watson. Survived by her mother, Juanita Hayes; husband of 17 years, Gary Case; sons, Richard James Irvine, Jonathon (Amy Bowers) Clay Irvine, and Cameron Matthew Irvine; bonus children, Brandon Jacob Case and Emily Briann Case; father of her children, James Irvine; grandchildren, Coleson Ryan Case, Addison Brooke Case, Isabeau Louise Irvine; brothers, Steven (Josette) Wesley Hayes, Daniell Glen Hayes; special nieces, nephews and extended family, Ashley Case, Steven (Peyton) Michael Hayes, Baleigh (Brad) Nicole Watson, Oakley Marie Sthole, Jesse Carolyn Hayes, and Dagan Johnson. 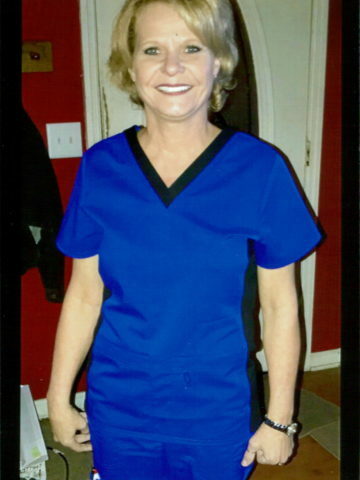 Selesia was a loving nurse, family hair stylist, mother, wife and Memaw to her family. She loved to teach her grandchildren how to cook, and was known to the family as Superwoman. A celebration of her life will be at 3pm on Saturday April 13, 2019 at Cole & Garrett Funeral Home White House with visitation from 1pm until service time. To the entire family… I am so very sorry for your loss, my thoughts & prayers will be with each of you during the difficult days ahead. I remember Selesia as a very pretty little girl with long blonde hair, at Mayron & Adrian’s’ house on Lower River Road. I am Mayron’s sister, Janice. I hope you will be able to find some measure of peace in knowing Selesia will live on, in your hearts. My heart aches for your loss, I’m so, so very sorry. My beautiful friend with that beautiful bright smile will forever be in my heart. her as she was such a beautiful person inside and out. Also, she did a great job on my nails. I’m so very sorry her life has been cut short but know GOD has another angel looking down on her family and friends. I pray all of you can find comfort in knowing so long as you continue to love the one you’ve lost you never loose the one you love. So sorry for your loss. I pray you can find comfort knowing that she rests in the arms of the Lord. If you need anything please call me, even if it just for an ear to listen. I will be here for you. Our Hearts go out to you and your family. We were so sorry to hear of this news and our prayers are with you. Juanita , I am so sorry . Prayers for all of you . Prayers for strength . Gone too soon We all miss you tears rolling down my cheeks. Thank you for all the good times we had Rest in peace Love you so much. We are truly sorry for the loss of Selesia. Our loving Creator wants to comfort you with his promise that he makes through his son, Jesus, who states, “Do not be amazed at this, for the hour is coming in which all those in the memorial tombs will hear his voice and come out.” (John 5:28,29) May this promise of a resurrection bring you comfort and hope for the future.